I just received one of H Ks Electric boat called Genesis It come with the electric a motor installed. I see a lot of videos on You tube that where guys are using 6 cell batteries in there boat the ESC I order is a 120Mah and can use a 6 cell battery, I can't seem to find what the motor is rated for, is it rated for 3 to 6 cells or are these guys replacing the motor so they can use a 6 cell battery. Does any one know just what the stock motor that comes with the boat is rated for, can I run 6 cells with out burning up the motor? I am setting up the batteries and I need to know if I can use a 6cell set up or only a 3cell battery. If I can't use a 6 cell battery with the stock motor does any one know what motor would be the best motor to get for a 6 cell set up and a motor number I can order. I have sent an email to the supplier to ask about the motor. However, the motor can work with 3S~6S. Thank You Hobby-Qween. I will first try using a 3s and then try the 6s. I just was warred about burning out the motor using 6s setup. Hi Hobby Qween, you have so helpful in the past and I am hoping you may help me with this. I was running my Genesis and the flex shaft got so hot it melted the Teflon liner and turn the flex blue. I ordered a new shaft and Teflon liner and installed them. I ran the motor some on my bench and the shaft got so hot I could not touch it. 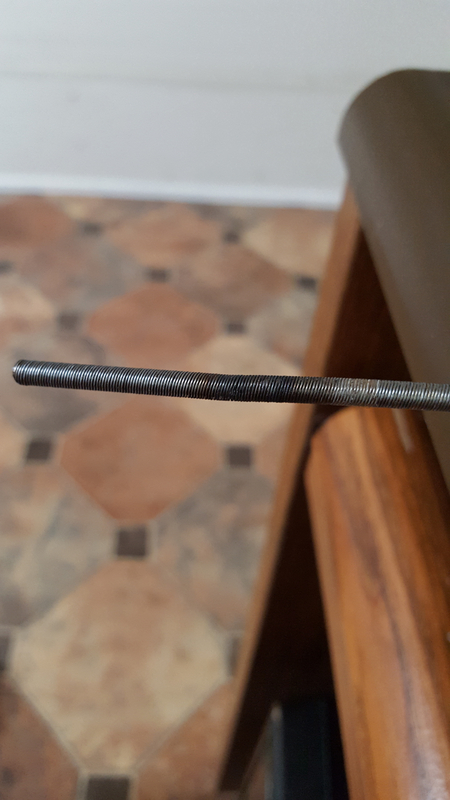 I'm not sure if I am doing some thing wrong, I used a thin coat grease on the flex shaft for some lube, I also notes' the Teflon shaft was turning along with the flex shaft, I put a small peace of foil tape in the shaft ally and the Teflon tube to keep it from turning. I'm and not sure why the shaft is getting so hot, I would think it should not get that hot. I am concerned the I will melt the Teflon tube and do damage to the new flex shaft.